Rebranding a company is more than just launching a new visual identity. It’s about helping companies uncover who they truly are, what they stand for and how to authentically connect with their audiences. It’s about feelings. That’s the stuff I love and the reason I do what I do for a living. Helping other companies build brands that resonate is one of my favorite parts of my job, however, rebranding the company you work for is a whole different beast. Being part of both the brand architecture team as well as an employee of said company adds an entirely different perspective. Not to mention the added pressure to get it just right. 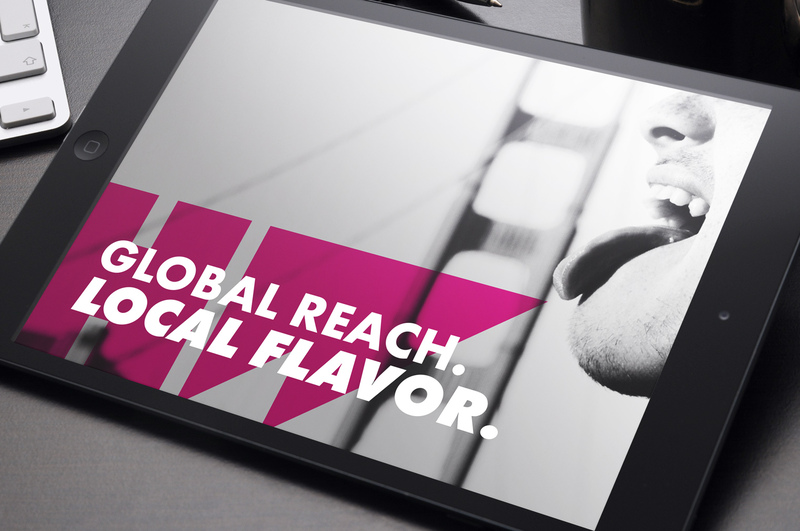 Below are 5 key takeaways from working on Hotwire’s global rebrand that may help as you think about your own brand. 1. Put your plan in the middle. A rebrand is an opportunity to think strategically about what you want your brand to do for you and where you need it to take you. The need to rebrand was apparent for us after developing our ambitious growth plan focused on offering a real global alternative to the large multinationals. Our new brand was really a new mindset to reflect our bold vision of becoming the best agency our team and clients would ever work with. This meant thinking beyond PR, beyond borders and beyond B2B tech. Everything from visuals, to tone, to the way we conduct business is now mapped back to this strategic plan. 2. Know what your audience cares about. Building an organization that revolves around today’s CMO and top talent is an integral component of our 2020 strategy. To better achieve this, we talked to CMOs, communications leaders and our own employees to truly understand their needs and what the best agency they could work with looked like in their mind. We heard comments ranging from being direct and challenging the status quo, to being agile and fun to be around. We not only built these into our new visual brand and positioning but are also incorporating them into our day-to-day operations so we can truly deliver on those needs. One example of this in action is our one-team global mindset, making it seamless for our clients to have access to global reach traditionally only available with large behemoths while maintaining the personal level of service that small shops are able to offer. 3. Poke at the uncomfortable. The process will undoubtedly get uncomfortable at times – a healthy stakeholder group for a project like this will include senior leaders from across the organization who likely have strong points of view about the future. This is good. Embrace it. Simply because it’s uncomfortable does not mean you should skip the subject or go another direction. Deconstruct the reason behind why it feels uncomfortable and map this back to how it relates to your overall strategic plan. For us this meant taking risks and making intentional decisions to show up differently than we had in the past. For a global organization this is no easy task, yet having a clear vision of who we wanted to be helped tremendously. 4. Make employees and clients part of your narrative. Employees and clients are a company’s biggest asset yet oftentimes get overlooked during the rebrand process until the very end. As our Global CEO, Barbara Bates, stated at our annual bootcamp, the only way our 2020 goals would be met is by unlocking the full potential in each of our employees. With this in mind, we gave our full global team and guest CMOs the first look at our new brand when we were together in Barcelona, months before our public launch. This not only gave employees time to familiarize themselves with our new look and messaging but, more importantly, to become true ambassadors of our new limitless mindset. They too were in on our big global secret and were able to make the brand their own once the time came to celebrate publicly. This may go without saying, but rebranding is a big deal and worth celebrating. So we brought everyone in on it – our employees, our clients, our partners, even our families. Celebrating not only increases staff morale and builds excitement around the company’s future but more importantly allows us to communicate key messages over and over again. Our employees are our most important brand ambassadors, and we want to make sure they are comfortable communicating those key messages on our behalf. From toasts, to lunches, to a limitless amount of hot pink (think: dyed hair, coordinated outfits, and fresh manicures) our team, clients, and partners certainly made our rebrand their own and we could not be happier! If you haven’t already, take a look at our new website and join our celebration on social media with #HWLimitless. We can’t wait to see where this new chapter takes us and hope you will join us for the ride. If you too want to build a brand that supports your company’s biggest vision, please shoot me an email at mario.mejia@hotwireglobal.com or tweet me at @mromja. We’re here to help.